A once-fashionable, now fading resort hotel. A spinster aunt living in an attic. Dirt roads that lead to dead ends. A house full of secrets and old, dusty furnishings, uninhabited for almost half a century. A 12-year-old girl with a passion for double-chocolate ice cream sodas, and decaying lakefronts, and an obsession with the death by drowning of another young girl, 40 years before. Like all important events in the past, there are repercussions and ramifications in the present. 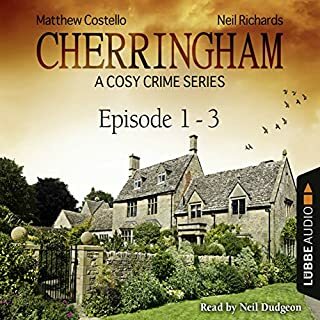 It is a chill and foggy 12th Night, wild with North Sea wind, when a bizarre murder disturbs the outward peace of Rackmoor, a tiny Yorkshire fishing village with a past that proves a tangled maze of unrequited loves, unrevenged wrongs, and even undiscovered murders. 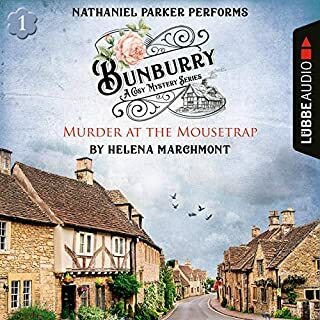 Inspector Jury finds no easy answers in his investigation - not even the identity of the victim, a beautiful young woman. Was she Gemma Temple, an impostor? 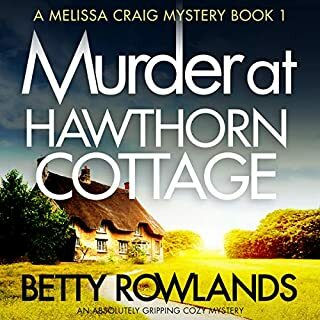 Or was she really Dillys March, Colonel Titus Crael’s long-lost ward, returning after eight years to the Colonel’s country seat and to a share of his fortune? And who was her murderer? I came across this series and started with book #1 and this is my second in the series, book #2. I'm still not quite sure what genre to put this in? it's clearly a murder mystery but it's not really a thriller, not a page turner. It's more in the line of a Sherlock Holmes mystery, a thinking person's mystery. And, yet, there is also the aspect of an American author writing the story set in England and sort of making fun, a spoof almost, of the British way of life, the language, the aristocracy and the class system, which we Americans find interesting, I suppose, if not a bit strange. Still, with all this said, my goal in any book is to be entertained and that I was. 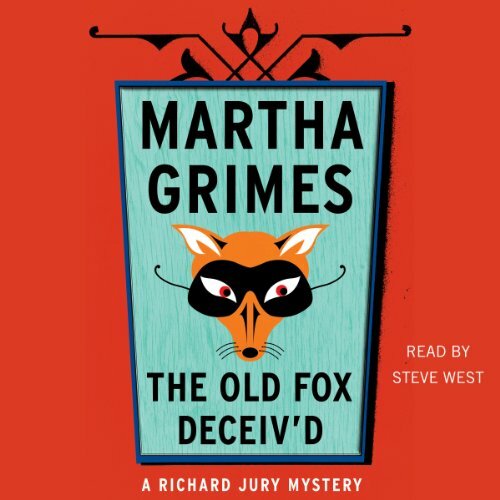 Where does The Old Fox Deceiv'd rank among all the audiobooks you’ve listened to so far? Richard Jury and Melrose Plant. They are strong men with different personalities formed out of different upbringings yet they develop an intuitive relationship as the books move through the series. While the books can be stand alone, reading them in sequence lets you see this respect grow; you also meet the other characters with all their eccentricities as they move in and out of the books. They are a treat and how Jury and Plant interact with them is great fun. So far, this is my 3rd book I'm "rereading" with narration by Steve West. 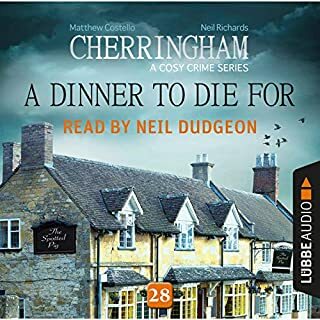 The Audible narration is a true delight. 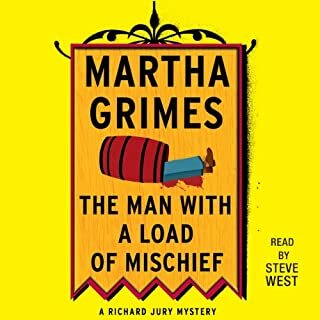 I read all the Martha Grimes Richard Jury books years ago, up to her latest. Her earlier ones are her best as one follows the eccentric characters through several books. These are murder mysteries after all so the subject is not humorous. However, there are lots of chuckles especially with Mr. West's narration catching the sarcasm and off kilter humor of the characters. He conveys the dry humor and quirkiness in these books so well yet the seriousness of the murder(s) comes across strongly in his narration. Mr. West has an impressive range for the various voices, so much so at times I almost think more than one person is speaking the various voices. He doesn't use extremes for a female voice or a child's voice yet he captures these very well. This is the second book in the Richard Jury series and is a solid, entertaining mystery. The characters are quirky and interesting, the mystery solidly plotted. What I find most enjoyable about the books is the dry humor and the interaction of Plant and Jury. It makes for good reading. 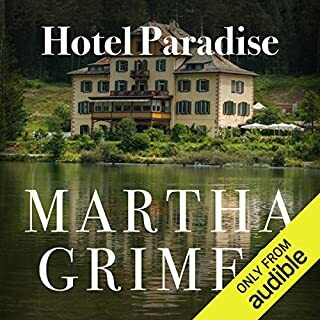 For Martha Grimes Jury series on Audible, I love this series and it only gets better. However, the narrator is all wrong, he misses the wit and nuance. The humor is dry and smart, the narrator is not. Good mysteries, but I'm not sure I'll keep buying if they are all narrated by West. Great character development. Love to see the relationship between Jury and Plant develop. Wiggins is a crack up. Well narrated. I could totally ‘see’ the characters. Already downloaded the next book. This is a wonderful story, and the narration takes it to a new level. We get to see a slightly edgier side to Richard Jury, more of a look into his inner workings. The characters are as quirky as ever. That’s such a huge draw, as it would be easy to write stereotypes in this genre, but Martha Grimes gives us so much more. Steve West does a magnificent job giving them each a unique voice. I like Inspector Jury. I like that his smooth way of interviewing. an uncanny way of investigating. The best narrator ever. Fun story. Love the characters. All in all, very satisfying. Thank you. I first began this series in 1994! Guess that makes these historical? ! Well, they're fun and thought provoking and interesting all the same. The friendships, idiot relatives, odd circumstances, and unusual sleuthing make this a keeper. Steve West does a marvelous job as narrator. The detective is personable and is kind to children and animals. He appreciates the people of the small villages and makes the reader want more.